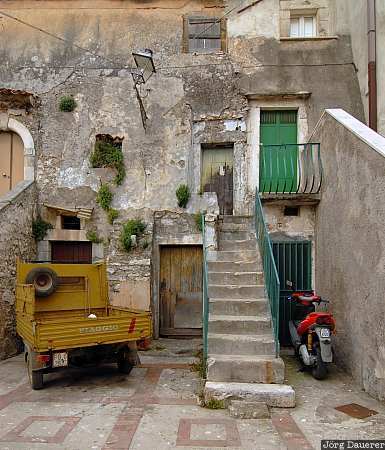 Classical scene of decaying buildings in Vico del Gargano on the Gargano peninsula in Apulia (Puglia), province of Foggia in southern Italy. This photo was taken on a cloudy day in April of 2006. This photo was taken with a digital camera.